Castle Hotel is a characterful and harmonious building, with a unifying palette and design features. The concept of how history and people have made their mark permeates the entirety of the property's new creative interior design. Evoke childhood memories of The Wind in the Willows as you indulge in an idyllic picnic on England's most iconic river, the Thames. You'll be transported in style, on your own private boat, setting sail from Windsor and gliding leisurely past some of the town's most renowned landmarks. On your journey to Bray Marina, in its delightful country park setting, you'll choose when to open your hamper and partake in the wonderful selection of treats. Walk through the doors and walk back in time, as you discover fascinating authentic features and lovingly restored décor, before you retire to your gloriously relaxing room. ..
From our lounge, enjoy a perfect view of the pomp and grandeur of this enchanting ceremony. 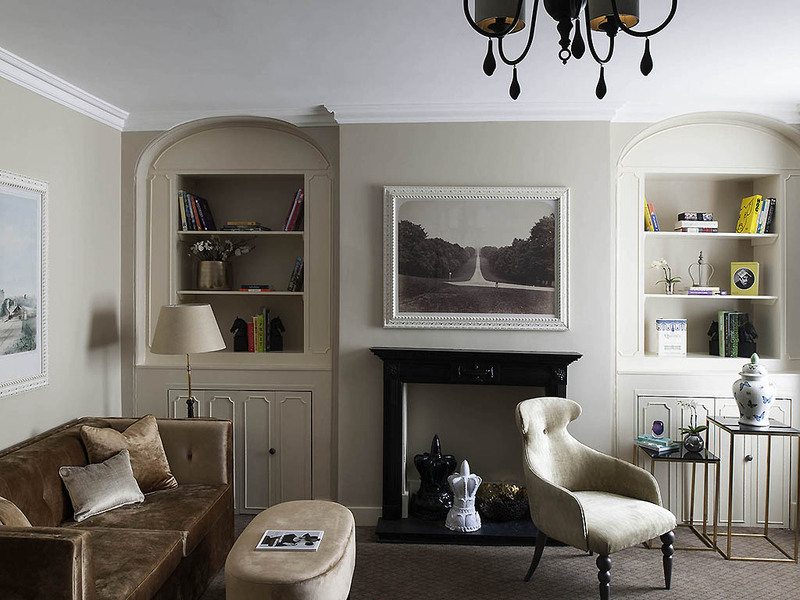 To repose, immerse yourself in natural daylight and a timeless book in this serene sanctuary. With high vaulted ceilings and fine chandeliers, the Windsor Suite is a masterpiece of luxury. Walk through the doors and step back in time, as you discover authentic features and lovingly restored décor.The town's cobbled streets offer much to explore & you'll have the best view for the pomp and grandeur of the Changing of the Guard. Moments of rare delight that you must seize and transform into unforgettable memories. This 'very Epicurean philosophy' is adopted by the hotels of the collection. "Evoke childhood memories of The Wind in the Willows as you indulge in an idyllic picnic on England's most iconic river.You'll be transported on your private boat, gliding leisurely past the most renowned landmarks to Bray Marina. Via the M4, exit at Junction 6 and take the A332 to Windsor. Continue past the turn for Town Centre then at the first large roundabout turn onto Clarence Road. Continue straight on through the sets of traffic lights and the roundabout, where you reach Victoria Street. Continue on to the T intersection then turn left onto Sheet Street and follow it around onto High Street and you will see the hotel on the left. Our 108 bedrooms follow the Georgian elegance of the hotel. Each one has been beautifully decorated with a refined take on contemporary design, and guests can stretch out on delightful beds covered in the finest Egyptian cotton. Complimentary accessories, such as luxury Lanvin toiletries and fluffy bathrobess are provided so that guests can truly relax. 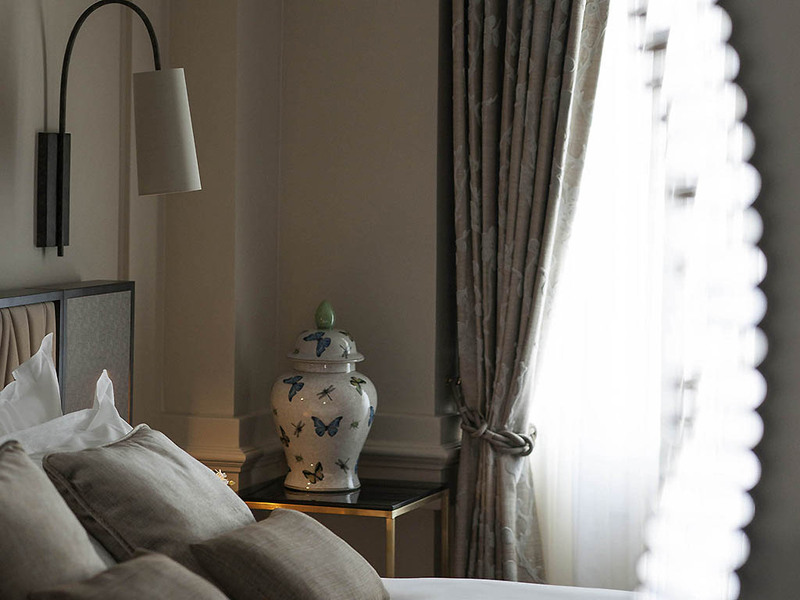 Featuring bespoke art and seamless design, each of our suites is personalised after Windsor Royal Warrant Holders. Retreat to your soothing sanctuary to slip into a plush king-size bed and take in stunning views of Windsor Castle and the Guildhall. 21 SQM, Free High Speed Internet, 40 inch TV, Mini Bar, Premium amenities. 2 Single Size Beds available on request. If you prefer to dine in the luxurious comfort of your room, we offer room service 24 hours a day, seven days a week. Select from an array of old British classics, such as succulent steak, traditional pies and divine desserts, like sticky toffee pudding. The Marco Pierre White Steakhouse Bar & Grill follows Marco's ethos that it is all about offering classic dishes, simply cooked, using the best well sourced seasonal ingredients. The restaurant offers a traditional British menu. Inspired by history, but tuned to a contemporary palate, enjoy a range of fine wines, tempting cocktails, craft ales and traditional teas in the hotel bar. Guests can also watch the Changing of the Guard march past the hotel, along Windsor's main street. An inspiring place to hold a meeting or event - our 12 conference suites and syndicate rooms can accommodate up to 400 seated guests, providing the largest event space in Windsor, with wifi available throughout the hotel. A dedicated conference planner can help you tailor the event to your needs. Castle Hotel Windsor is in the perfect location for such a memorable day. Offering a dedicated wedding planner, we can assure you and your guests a unique and unforgettable experience in a spectacular setting. Many of our hotels have award-winning restaurants. Our talented chefs can create a range of tempting dishes to satisfy every taste. We work with you to design the perfect menu, from a six-course wedding breakfast to an informal buffet. As well as our elegant and versatile banqueting rooms, bars and restaurants, many of our hotels have terraces, pools and gardens that are ideal for drinks receptions and the perfect backdrop for your wedding photographs. Many of our hotels are licensed to hold civil ceremonies and civil partnership ceremonies, so you can get married and host your reception under the same stylish roof. 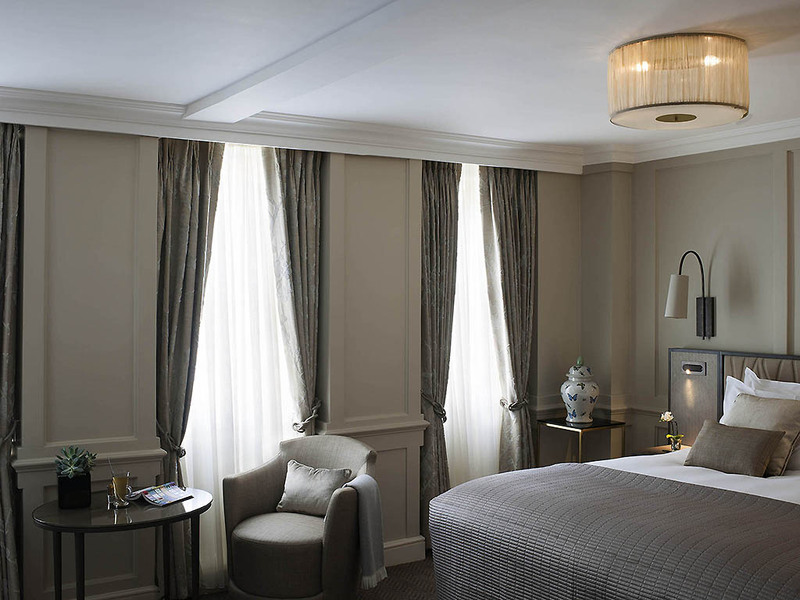 At Castle Hotel Windsor we offer guests an entire range of services designed to guarantee optimal comfort. Friendly staff are always on hand to tend to your needs throughout your stay.